Good afternoon! 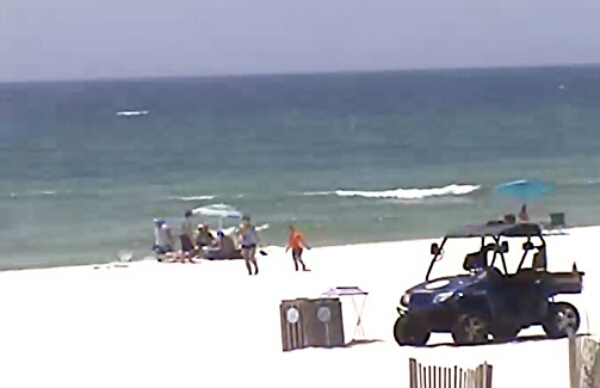 It is a windy day out here on Pensacola Beach. The surf is up but not at the pier. The high tide push is gone but there is still some surf to the east of the pier. 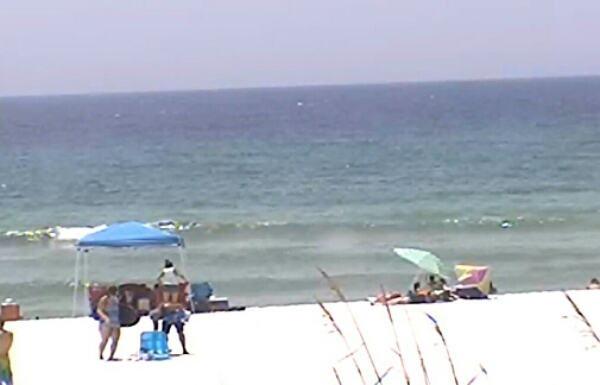 Farther to the east it is breaking knee high with bigger sets on shallow sandbars but you have to find a spot. 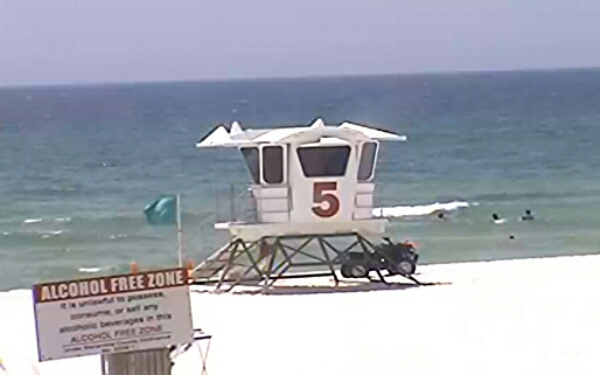 Navarre could be the place to go because you can surf the east side of their pier. The winds are coming out of the west at 13-15 mph causing for drifty, windy conditions. It is supposed to keep blowing all day long. Maybe this evening will give us some decent waves. We will keep our eyes on the Gulf and report later today.